Helps Paul After Painful Flip Flop Experience. “I run a very busy Car Wash and Shop in Bishopstown in Cork. Two summers ago I bought a cheap pair of flip flops for work in the heat. By September I was getting constant pain in my right foot and my doctor diagnosed it as plantar fasciitis something I had never heard of. After months of pain killers I went to a specialist and had injections into my heel (not a pleasant feeling) but this only worked for a period of time .The other avenue open to me was surgery which I did not want. Then from talking to a friend he told me to pay a visit to Foot Solutions on the Grand Parade which I did and I ordered a custom made pair of shoe inserts. I was scared to say it but after three to four days I was getting relief and within a two week period I was pain free. It even changed my posture to become much straighter and now I won’t go anywhere without them. 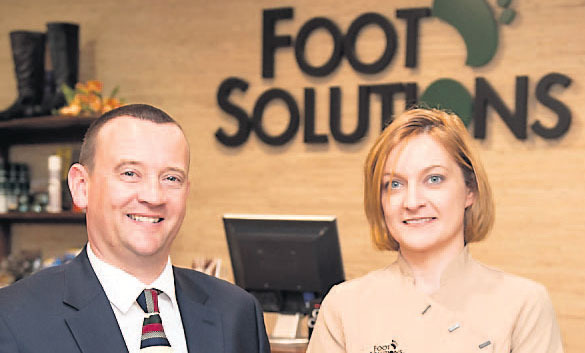 I would recommend anyone with back or foot pain to pay Foot Solutions a visit.